For over a decade now, through highly acclaimed exhibitions of his work, OSI AUDU has maintained a strong professional presence in the United States, Great Britain, Korea, Japan, Italy, Germany, Austria and Africa. 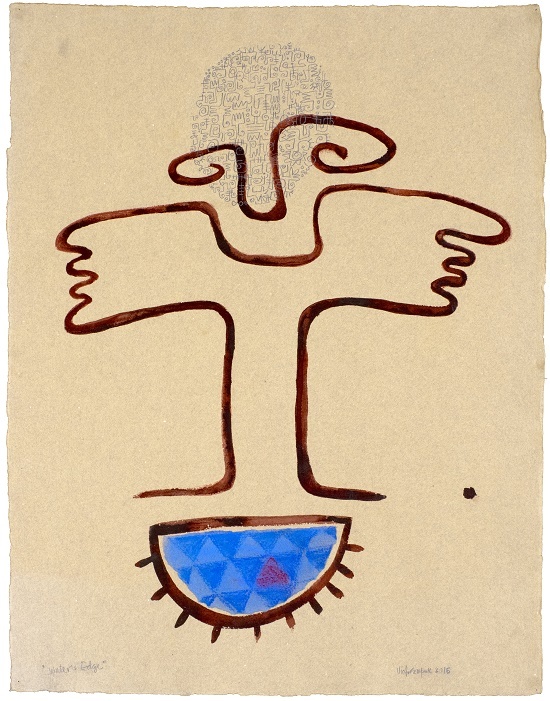 His work has been exhibited at, and collected by public institutions including the Smithsonian Institution’s National Museum of African Art in Washington DC, The Newark Museum in Newark, New Jersey, USA, The British Museum and the Horniman Museum both in London, and the Wellcome Trust Gallery in Euston London. His work has also been exhibited at the Tobu Museum and Setagaya Museum both in Japan, the Liverpool Museum in Great Britain, The Science Museum London; and acquired for corporate collections including Sony Classical New York, and the Schmidt Bank in Germany. He received a B.A. (Fine Art) degree with First Class Honors from the University of Ife in Nigeria, and an M.F.A. 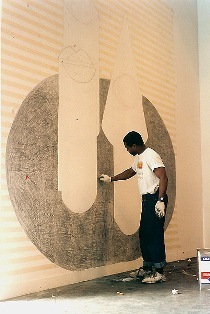 degree in Painting and Drawing from the University of Georgia, Athens, Georgia, USA. He now lives and works in New York. The Foundation is pleased to report that since its inception in 1985, it has awarded over 4,400 grants totaling over 71 million dollars to artists in 77 countries. 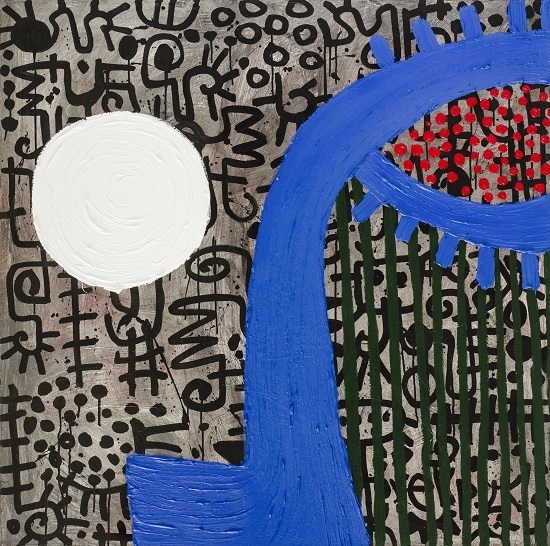 Writing and painting merge in the art of Victor Ekpuk, whose bold work employs symbols from Nsibidi, a West African ideographic system. This is a familiar aspect of the Nigeria-born Washingtonian’s style, but in Morton Fine Art’s “Hip Sistas in Flux: The Visual-Lingual Braid” the text represents both contemporary modes and cultural heritage. The glyphs decorate bodies as well as backgrounds, suggesting African-inspired fabrics but also jewelry and piercings, tattoos and scarification. 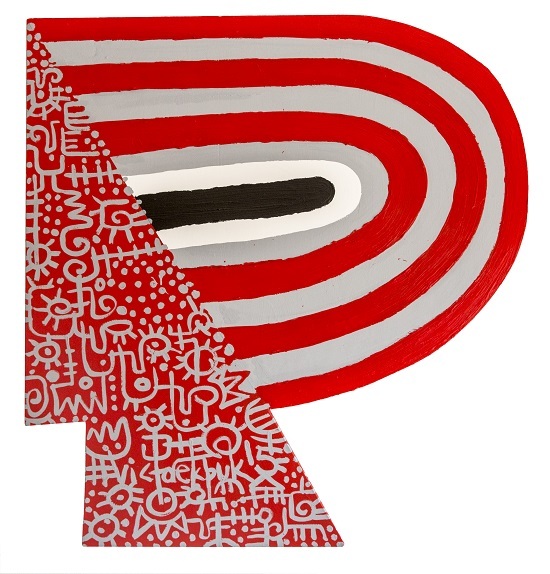 Ekpuk often uses a dense field of black-on-white symbols to frame a person or object that’s in color. Of these archetypal portraits, however, only “Asian Uboikpa (Hip Sista) Series #6” is rendered in black, and it’s garnished with red and blue dots at the center. The other paintings are even brighter, often outlining a woman’s head and torso in a lighter hue than the backdrop. Sista #11, for example, uses thickly applied yellow atop a green and blue matrix. The vivid colors suit the primal images; these female exemplars are nothing if not robust. Victor Ekpuk — Hip Sistas in Flux: The Visual-Lingual Braid On view through May 21 at Morton Fine Art, 1781 Florida Ave. NW. 202-628-2787. http://www.mortonfineart.com. Sneak preview of artwork from Nigerian born artist VICTOR EKPUK’s solo exhibition “Hip Sistas in Flux : The Visual-Lingual Braid”, opening Friday May 1st at Morton Fine Art. All images copyright of the artist, Victor Ekpuk.